After our foundress Mother Teresa Margaret died, one of her cherished wishes began to be fulfilled: the restoration of Latin as our primary liturgical language. 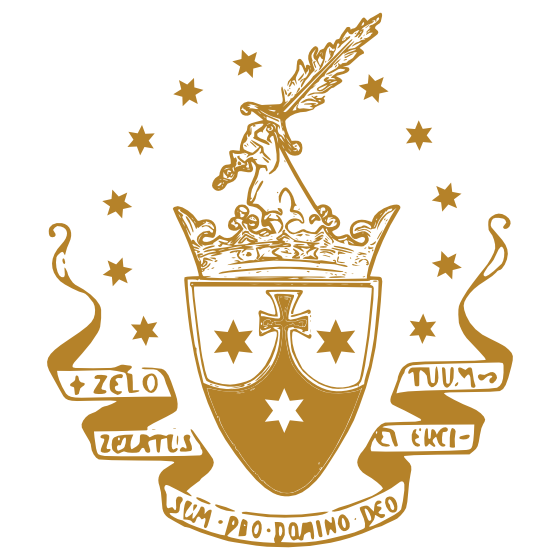 We discovered that after the vernacular languages had been approved for the liturgy, Pope Saint Paul VI had written to the monastic communities begging them not to give up Latin in the Divine Office. We began praying that Our Lord would make His will clear to us and remove any obstacles, and soon other monasteries supplied us with liturgical books, and a retired professor volunteered to teach us Latin at various proficiency levels! As our knowledge of Latin increases, we find “our hearts burning within us” as the depths of Scripture and liturgical texts open up to us. Why Latin? In 1959 we broke ground on our permanent monastery. 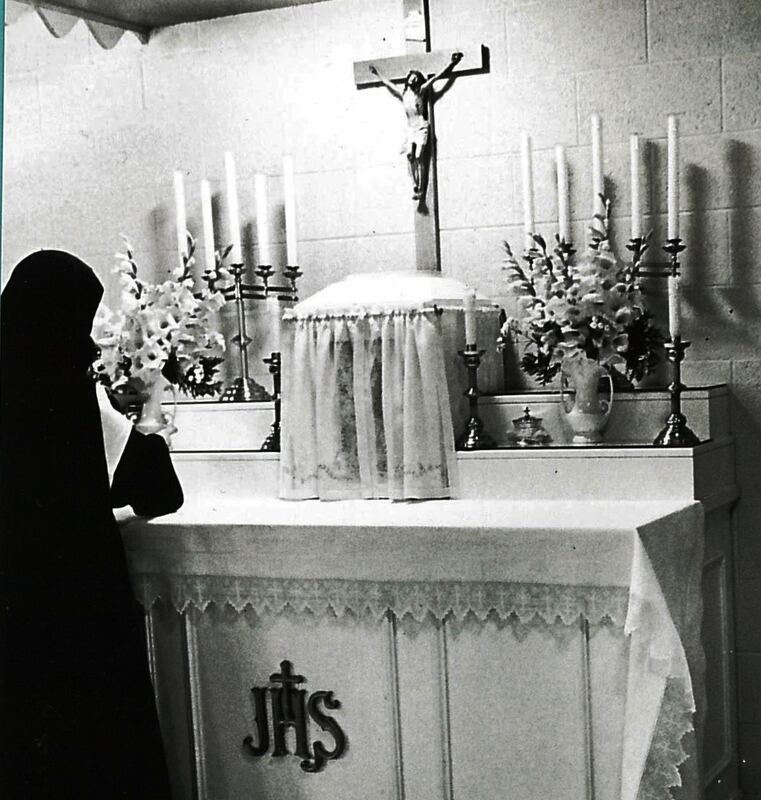 Mass was celebrated in the basement using the original wooden altar until we had enough funds to complete the chapel in 1962. The Catholic Extension Society donated a new altar made of Spanish marble.